If you notice significant tooth pain when you bite down, it could be a sign of a few different issues. There might be a lot of decay in the area, which causes large and painful holes in the teeth. You might also have a loose filling that needs the attention of an oral health professional. A cracked tooth might also be causing the pain. No matter the reason, it is important to visit your dentist as soon as possible to get the treatment you need to fix the problem. If you feel a lot of discomfort when you ingest hot or cold foods or beverages, it might be a sign that you have inflammation or an infection in the pulp of a tooth. It is important to visit your dentist for this problem so he or she can determine if you need root canal therapy to correct the issue. If you are experiencing consistent pain, pressure, or swelling in a particular area of your mouth, it is important to go to the dentist as soon as possible. This is usually a sign of an infected tooth or an abscess that has moved into the gums and the bone. No matter what kind of tooth pain you are experiencing, Tucson’s Dr. John R. Carson can help you find relief. Our office offers a wide range of dental services and treatments to ensure that you get the care you need. Whether you need a filling or a root canal, our team is here to do it right. To learn more, visit us online or call (520) 514-7203. If you and your dentist catch gum disease in its earliest stage, Gingivitis, it is possible to reverse it. Gingivitis is an infection in the gums can be treated with cleanings that get rid of the plaque and bacteria that are causing the inflammation and infection. If you notice any redness or bleeding in your gums, you should schedule a cleaning appointment with your dentist as soon as possible. If your gum disease has already progressed into your bone, your dentist might start your treatment with scaling and root planing to try to resolve this infection. During this procedure, the dentist removes the harmful bacteria and deposits from beneath the gums that is causing the issue. After the treatment, the inflammation and infection should start to disappear. In certain cases the dentist might also try to use an antibiotic called Arestin to help prevent the spread of your gum disease. After your active therapy, the dentist might place this powder into the periodontal pockets. This antibiotic can kill leftover bacteria that are hiding in these pockets. Once the dentist can remove the active infection, he or she will continue with supportive therapy to help ensure that it does not return. You will need to return to the office every few months to get this periodontal maintenance and avoid any further issues. John R. Carson DDS is one of Tucson’s top dentists who provides general, restorative, and cosmetic dentistry services. If you think you have gum disease, schedule an appointment to get the treatment you need. Our staff is committed to helping you get the healthiest, most attractive smile possible. To learn more about our offices or our services, visit us online or call (520) 514-7203. Certain foods and drinks can stain your teeth and reverse the aesthetic benefits of your teeth-whitening treatment. You should try to avoid coffee, tea, soda, red wine, and berries that might discolor your newly whitened teeth. If you do eat or drink something that might stain your teeth, you should drink a glass of water or brush your teeth after. Smoking cigarettes or using chewing tobacco are two habits that can stain your teeth. If you use any kind of tobacco products, you should make an effort to quit. Not only does this reduce your risk for dealing with tobacco-related diseases, but it also helps you maintain your beautiful, white smile. 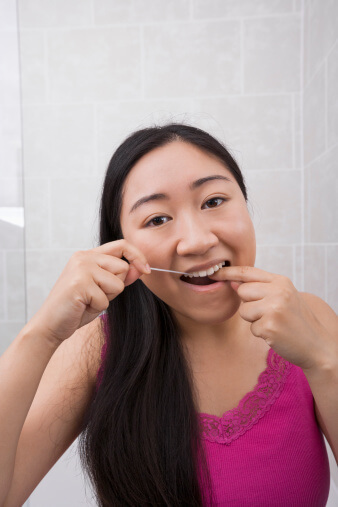 Oral hygiene is always important, but it is especially important if you want to keep your teeth looking their best. You should brush your teeth twice a day with a soft-bristle toothbrush and floss once a day to keep your teeth clean and healthy. Some medications stain the teeth as a side effect. If you are concerned about the way your medicine might affect your teeth, you should talk to your dentist about the medications that you take. If there is a problem, you might want to try to get a different prescription that will not stain your teeth. Whether you want to get your teeth whitened or you need routine dental work, Dr. John Carson is here for you. As one of Tucson’s top dentists, Dr. Carson is always here to help you get the oral care you need. To learn more about our office or to schedule your next appointment, visit us online or call (520) 514-7203. People who have systemic diseases like diabetes are much more likely to suffer from periodontal disease. Doctors believe this is because diseases like diabetes make them more susceptible to infections. If you have diabetes and do not control it, you might experience periodontal disease as a complication. Diabetics who have periodontal disease also have more difficulty keeping their blood sugar under control. If they cannot control their blood sugar, they have a higher risk of dealing with other complications from the disease. It is very important for diabetics to work closely with a dentist to prevent major issues with gum diseases. Infections in the gums can cause major problems for the heart. If these infections enter the bloodstream, they can travel directly to the heart. This can significantly increase a person’s risk for developing heart disease. If a person already has heart troubles, periodontal disease can make them even worse. If you already have a heart condition, you should tell your dentist. Periodontal disease might also increase a person’s risk of having a stroke. Researchers have also found links between osteoporosis and bone loss that occurs in the jaw. Periodontal disease might also contribute to certain respiratory diseases like pneumonia when bacteria are breathed into the lungs. People who have gum disease may also be at risk for kidney cancer, pancreatic cancer, and blood cancers. 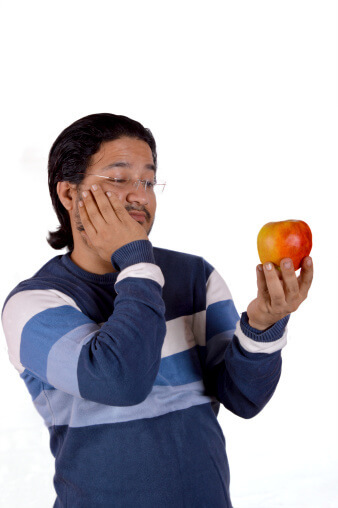 Want to know more about the link between poor oral health and full body health? Check out our fun interactive resource! John R. Carson DDS can help you avoid periodontal disease and other health issues that come with it. Our office specializes in general, preventative, restorative, and cosmetic procedures to help you get the healthiest teeth and gums. To learn more about the office or to schedule your next appointment, visit us online or call (520) 514-7203. 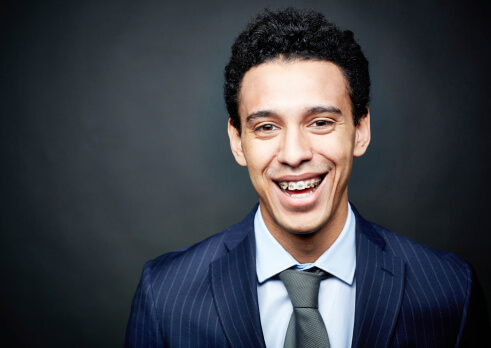 A lot of adults shy away from teeth-straightening treatments because they do not want to wear clunky metal braces. With clear orthodontics, you can straighten your teeth without anyone else knowing that you are doing it. These clear aligners gradually shift your teeth into their correct position so you can enjoy a smile of which you can be proud. Other adults do not want to get braces or other teeth-straightening options because they feel like it will interrupt their lives. When you choose clear orthodontics, they fit seamlessly into your life without causing any major disruptions. The aligners are easy to remove, which means you can continue to enjoy the foods that you love. It also makes it easy to brush and floss your teeth to keep them healthy throughout the process. Even if you feel like you have waited too long to straighten your teeth, your dentist can help you get the smile you want. These clear orthodontic aligners are custom made for each patient to give them the best and most natural looking appearance when you are wearing them. At the end of the treatment, you can smile brightly to show off your newly straightened teeth. If you are thinking about straightening your teeth, schedule an appointment with John R. Carson, DDS to learn more about clear orthodontics. Our staff is here to help you get the healthiest, most attractive smile possible. Dr. Carson is one of Tucson’s top dentists and works hard to give every patient the results they want. To learn more about our services or to schedule an appointment, visit us online or call (520) 514-7203. If you get a crown or a bridge, the dentist affixes it to the tooth. Unlike removable dentures, these prosthetic devices become a fixed addition to your smile. You must return to the dentist if you ever need to get them removed. When a dentist uses a dental crown, he or she can use it to cover up a tooth that is chipped, cracked, discolored, or damaged in some other way. The dental crown adds strength and restores a more natural appearance to the teeth. They can also be used to correct slight alignment issues. Dental crowns often restore function to a damaged tooth and allow patients to bite and to talk as they normally would. 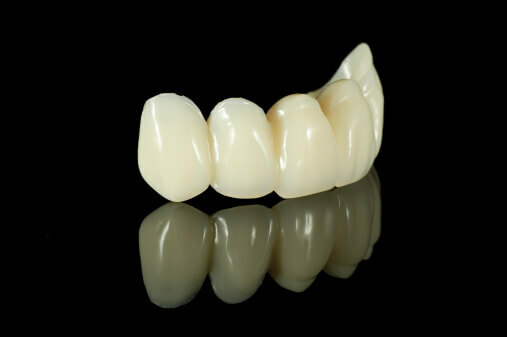 Porcelain crowns can match the natural teeth, which gives patients the most natural looking results. If you are missing one or more teeth, the dentist might use a bridge to replace the missing tooth. The bridge stretches across the area to prevent other teeth from shifting into this gap. They are cemented to nearby natural teeth to create an anchor that keeps the bridge in the mouth. The dentist can also match the dental bridge to your other teeth to give you natural looking results. If you are having trouble with your teeth, schedule an appointment with John R. Carson DDS to get the treatment you need. From general to cosmetic dentistry, Dr. Carson provides some of the best treatment options in the Tucson area. Our staff is committed to helping you get a functional and beautiful smile. Call (520) 514-7203 to find out how.